Transform your staff meetings into cooperative meetings. Make them engaging, inspiring, and educational. Experience why Michael Fullan states, "Cooperative Meetings is a treasure chest of ideas, resources, and activities for staff developers and others wishing to engage in dynamic learning experiences. No other resource exists that contains such a comprehensive set of strategies to enhance learning for all." This workshop gives you the step-by-step structures to transform your faculty into a community of leaders and learners. Cooperative Meetings was field tested for fifteen years in one of the world's most acclaimed school districts, transforming staff relations and school practices. Learn collaborative decision making structures so there are never winners and losers as your staff works together for school improvement. Improve staff relations; bring out the best in your teachers. Create engagement among all staff members, releasing energy in your meetings and beyond. Make staff meetings a joyful time every teacher prizes. 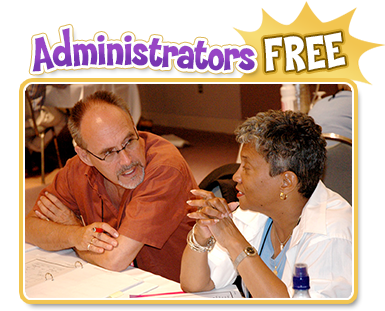 Join other administrators who are transforming their schools by transforming their meetings—release the power of Cooperative Meetings. Leave with inspiration and direction to create the dream school—a community of motivated, caring teachers.